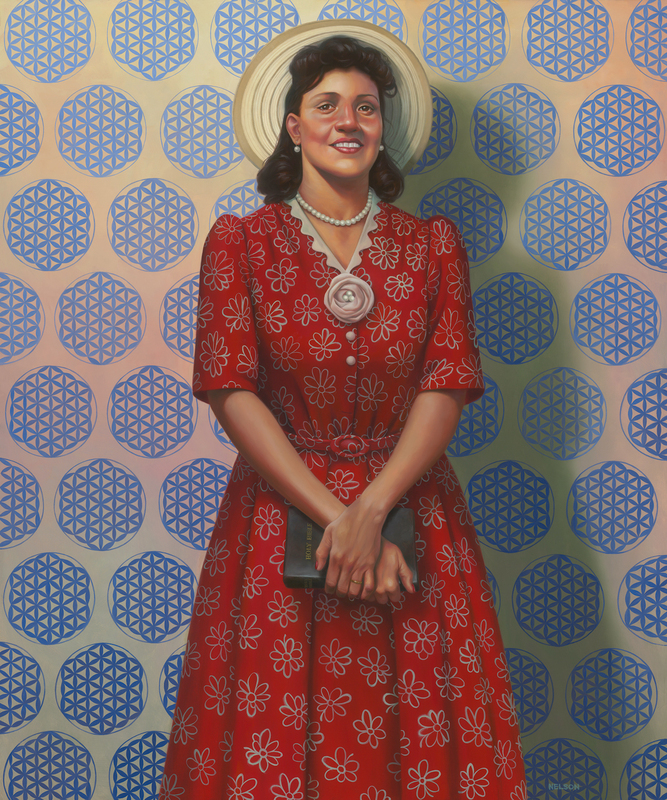 The Smithsonian’s National Portrait Gallery recognizes the life of Henrietta Lacks with the installation of a 2017 portrait by Kadir Nelson. It was jointly acquired by the National Portrait Gallery and the Smithsonian’s National Museum of African American History and Culture and is shared by the two museums. Lacks (1920–1951), whose great-great-grandmother was an enslaved person, lost her life to cervical cancer at age 31. During her treatment, doctors took cells from her body and discovered they lived long lives and reproduced indefinitely in test tubes. These “immortal” HeLa cells have since contributed to over 10,000 medical patents, aiding research and benefiting patients with polio, AIDS, Parkinson’s disease, and other conditions. Nelson used visual elements to convey Lacks’ legacy. The wallpaper features the “Flower of Life,” a symbol of immortality; the flowers on her dress recall images of cell structures; and two missing buttons allude to the cells taken from her body without permission.